Crafted in contemporary 9ct white gold, these delicate stud earrings feature an elegant knot design with a combination of a polished and satin finish for a stylish effect. Wear alone for understated glamour, or team with coordinating accessories for maximum impact. 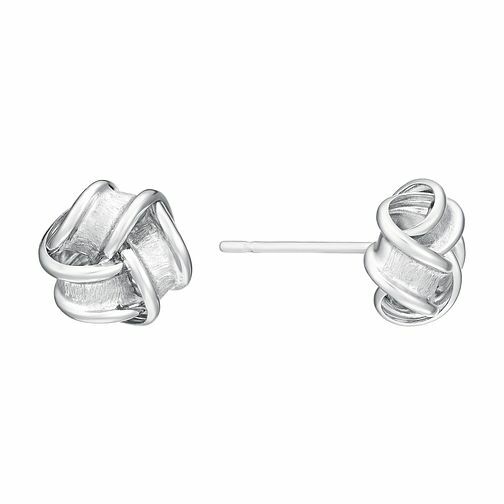 9ct white gold polished & satin finished knot studs is rated 4.5 out of 5 by 4. Rated 5 out of 5 by Anonymous from Wedding Gift Really happy with the gift which is a wedding gift for the Mother of the Bride (Me) A gift that my mum will remember. She will love them they are so elegant.